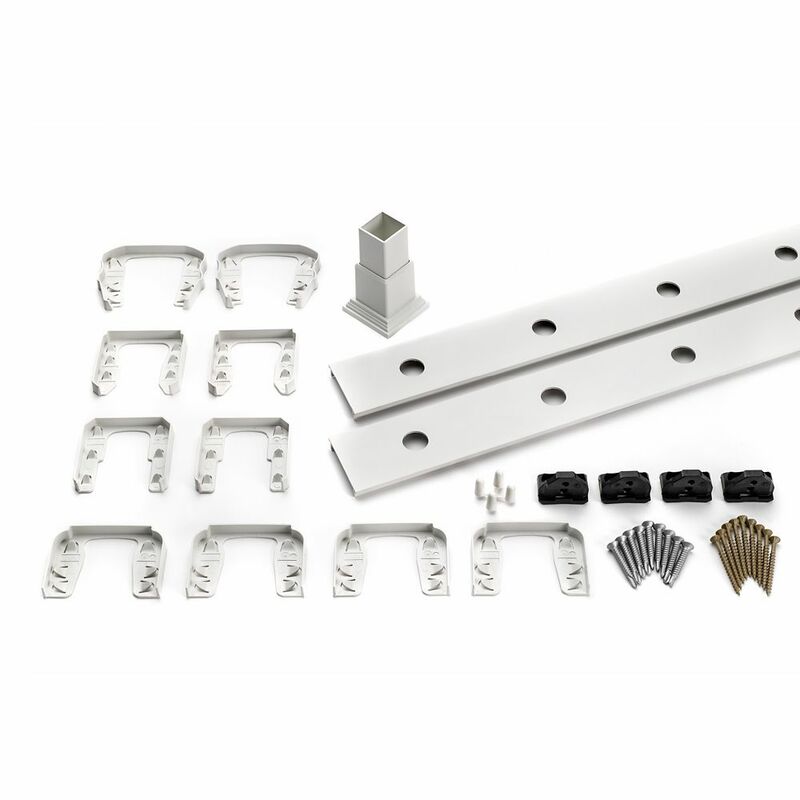 The Chain Drive Rail Extension Kit for 8'-High Garage Doors is required for reliable, everyday operation of Chamberlain. chain drive models in 8-ft. garage door applications. Featuring a quick-install extension rail and replacement chain, the kit includes everything needed for quick and easy installation. Includes rail extension, replacement chain, all necessary hardware and an instruction manual for easy setup. The NewAge Products VersaRac and 10 piece Multi-Hook Kit is an innovative solution for freeing up floor space in your garage or workshop. Durable and safe, the perimeter support beams are built with extra strong 13 gauge steel, with a rust and scratch resistant powder-coated finish, available in Hammertone Gray or High-Gloss White. The heavy duty VersaRac can support up to 600 lbs. of weight, and gives you up to 104 cu. ft. of overhead storage space to hold large and bulky items. The VersaRac is easy to install into wood joists and is adjustable in width from 6 ft. to 8 ft. allowing you to maximize your space while providing clearance for your doorway. It can be installed at a minimum height of 18 in. or can be adjusted from 27 in. to 42 in. in height. Store your winter tires, camping gear, or luggage within easy reach, while regaining space to park your car. 8 Ft. - Infill Rail Kit for Aluminum Balusters - Horizontal - White When people look at your deck, they'll see railing before anything else. Which is why a picture-perfect deck means selecting railing that signifies your style. With Trex, you can mix and match railing components to create a unique look, or choose from our Decking & Railing Duos for a simplified design approach. Trex Transcend Railing is as strong and sturdy as its namesake decking, putting every railing possibility within reach.